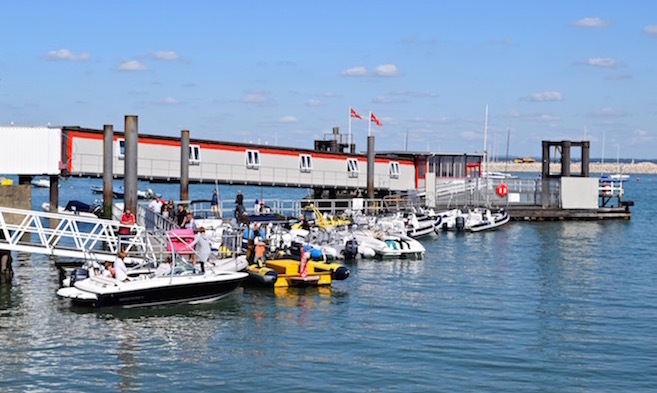 Town Quay lies adjacent to the Red Jet terminal and in front of the Cowes Harbour Office providing easy, walk-ashore access direct to Cowes High Street. 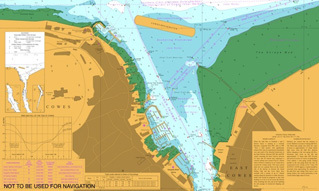 Vessels of up to 9m in length are permitted to use the pontoons. Town Quay is very popular with RIBs and can become extremely busy during the high season with vessels normally required to berth in rafts. The harbour taxis run direct from the eastern end of the Town Quay pontoons and serve the various areas of the River Medina. Please ensure that the signposted taxi berth is not obstructed, you are not allowed to berth there. A tide gauge is located at Town Quay; the minimum depth of water alongside the Town Quay pontoons is the tide height + 0.6m.